Undefeated in four VLN races in this year, Manthey Racing has become the undisputed champions of the VLN Speed Trophäe as they reached a new high in the 57. ADAC Reinoldus-Langstreckenrennen. 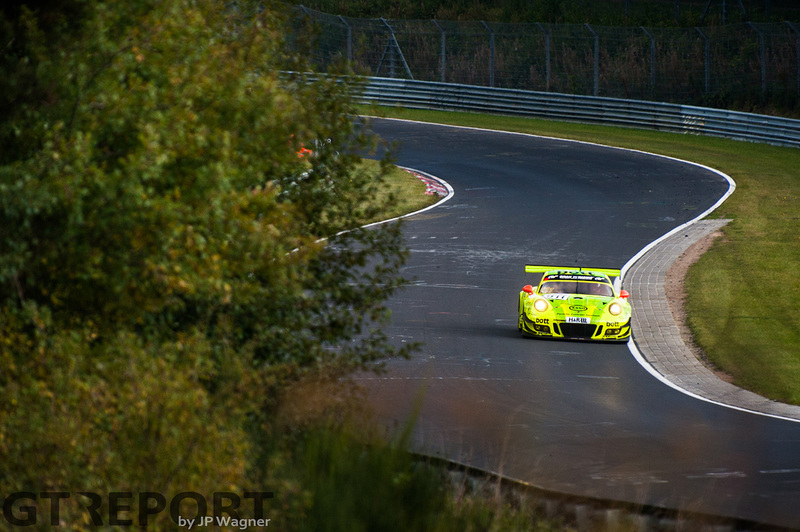 Armed with GT super stars Kévin Estre and Michael Christensen in the Porsche 991 GT3R, the local favourites turned bad luck to their advantage on way to victory at the Nürburgring. 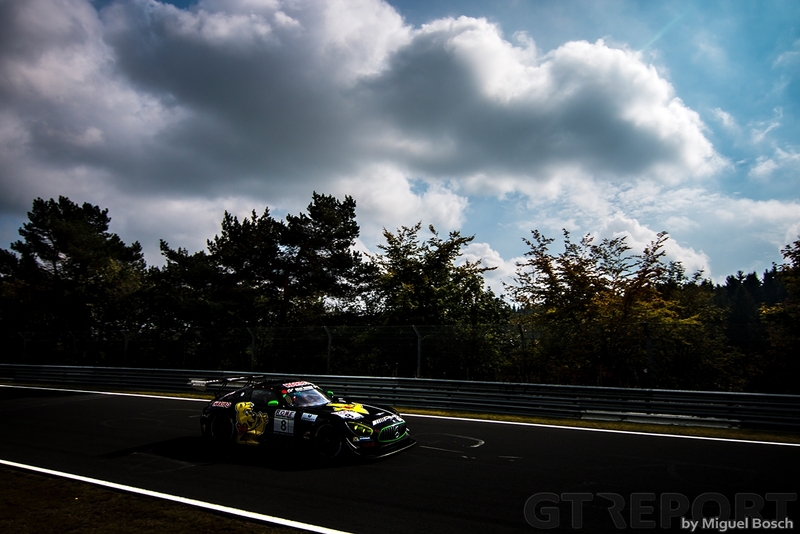 After months racing around the globe with Manthey in the World Endurance Championship, Christensen found himself back at Manthey’s home base for the seventh VLN race of the season. 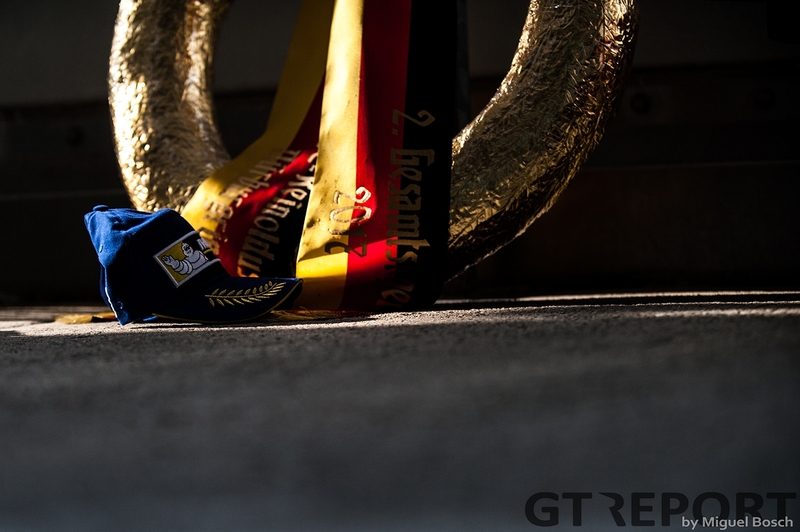 He has big shoes to fill: three times already ‘Grello’ has gone on to win in the Nordschleife endurance championship. Christensen does not disappoint: at the start he takes second place away from the mcchip-dkr Renault R.S.01 and finds the back of Lance David Arnold in the Haribo Racing Mercedes-AMG GT3 as they fly onto the Nordschleife. Pole-sitter Arnold, however, isn’t giving a single inch in the Haribo AMG. 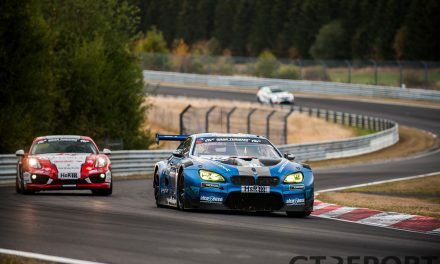 Like Christensen, he too has returned to the Nordschleife after a short absence. 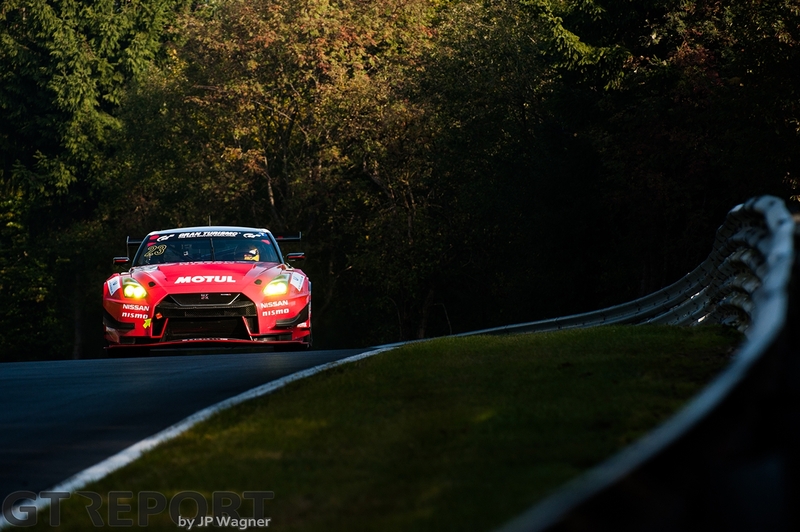 Bolstered by his pole-winning lap in the morning, the Duisburger needs no reacquainted with the Eifel course. Throughout his two stints, Arnold holds off the Porsche, but can’t help teammate Mario Farnbacher from losing the lead during their driver change. In sight of pitlane, Estre picks up a flat tyre. If faith decides it has to happen, then no better place than here, no better time than now. Immediately he follows Arnold into the pits to move his planned pitstop forward by a couple of laps. Estre’s stint is only seven laps long whereas Arnold has been out on track for his second stint two laps longer, requiring a shorter minimum pitstop time for the Frenchman. The unexpected change of plans allows Christensen to return behind the wheel and leave the pits without waiting for the Haribo AMG. 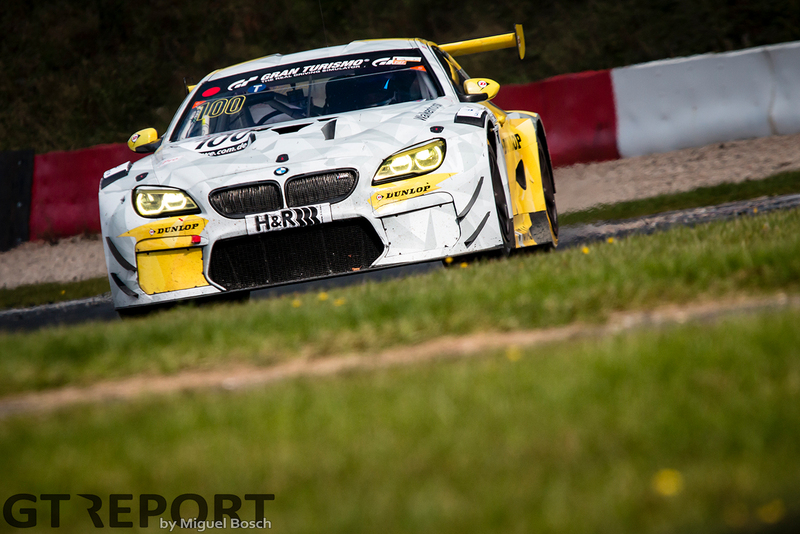 Long after Christensen disappeared into the race, Farnbacher brings the Haribo AMG back into the game. Last year’s race winner in his father’s Lexus RC F GT3 now has another problem to contend with: Christian Krognes in the Walkenhorst Motorsport BMW M6 GT3. 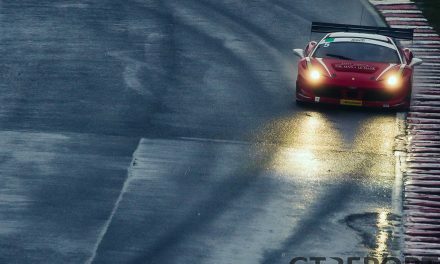 In pursuit of second place, Walkenhorst’s vedette paces to close the gap to the AMG. Krognes is continuing the work done by teammates Michele Di Martino and Matias Henkola in the earlier hours. Having elected to start on the harder compound Dunlop tyres, their slow start to the race is starting to pay off. Moving up the field at every round of pitstops, Krognes is targeting the Haribo AMG for the final two stints. The clock is counting down into the final hour. 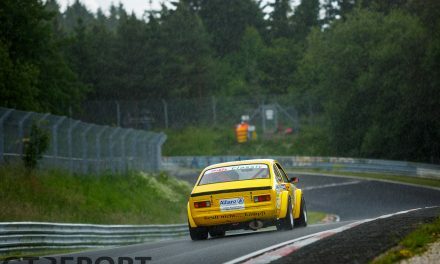 Tempers around the Nordschleife have finally cooled down somewhat when in the timespan of mere laps it all goes awry again at Schwedenkreuz and Adenauer Forst in a staggering display of mayhem. Spilled oil sends cars crashing into the barriers and each other at both parts of the track. It’s an enormous carnage out of which miraculously everyone emerges with nothing more than bruises. The wreckage leaves little room for the remaining cars to manoeuvre through the Code 60 zone. Cars start to bunch up and before long a traffic jam forms as drivers one by one tip-toe around the stranded race cars and emergency vehicles. 7 seconds separate Daniel Juncadella—assigned to the Haribo AMG’s final stint—and Krognes with 27 minutes to go. The BMW driver is homing in on second place when the hunt is cut short by the waving of red flags. It doesn’t come as a surprise to Krognes after he came to a stand-still in the crash zones trying to find a clear path through the debris, but the disappointment of being denied a shot at second place is big. If gone the distance, silver might’ve gone Walkenhorst’s way. Slowly Christensen circles back around to parc fermé. 3 hours and 33 minutes, or the full 4 hours—it’s irrelevant for the end result. The Manthey squad was at their finest today, celebrating yet another race win and the title in the VLN Speed Trophäe championship as well. It takes a while for race control to figure out the correct finishing order, but when everyone arrives at the podium and the news comes that no one is badly hurt in the crashes that stopped the race, the corks pop and the glistering drops of champagne in the last remaining sunlight fills the podium.